Rev. Ankoma D. Anderson, Sr, a native of Greenwood, South Carolina, is the son of Gregory and Cynthia Anderson. Rev. Anderson attended the public schools of Greenwood County School District 50, where he graduated with honors from Emerald High School in 2005. He continued his education at Lander University, where he became the first student to receive funding from NASA to conduct laboratory research. Upon graduating from Lander in 2009 with a Bachelor of Science in Chemistry, Rev. Anderson continued his academic career by pursing a PhD in Chemistry from Clemson University. Throughout his doctoral studies, he conducted extensive scientific research, which has been featured in several peer reviewe journals. He has also served as a lecturer at Clemson University and currently serves as an adjunct Professor of Chemistry at Lander University's College of Science and Mathematics. Rev. Anderson is also working towards a Master's of Divinity at Gardner-Webb University. After receiving and acknowledging the call to the ministry at age 20, he was licensed to preach at age 21. At the age of 25, he was ordained. At 26, he was installed as the Pastor of Macedonia Baptist Church of Greenwood, South Carolina. As an extension of his ministry, Rev. Anderson has conducted theological study tours throughout Israel and North Africa. Additionally, Rev. Anderson serves his community through his work with various non-profit organizations. He serves as chairman of the Westside Community Development Center Inc, an organization that specializes in exposing youth to science, technology, engineering and mathematics, and has helped the organization acquire over $100,000 in grants. 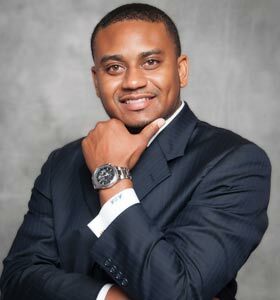 He serves on the board of trustees for the Self Family Foundation, a board member of Greenwood United Ministries. He also served as chairman of the Quality of Life Committee, an entity which aims to raise $80 million for Greenwood County and its citizens. Rev. Anderson is the proud father of two children, a son, Ankoma D. Anderson Jr. (KJ), and a daughter, Kirsten D. Anderson.